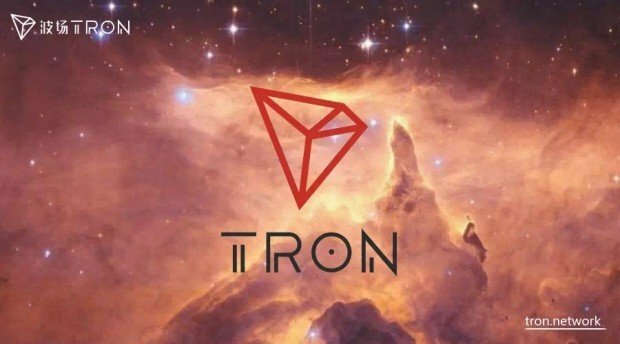 In preparation for the launch of the Tron (TRX) MainNet that is now 7 days and 13 hours away, Justin Sun is gifting the TRX community what he calls ‘Millions of TRX Candies’. These candies are in the form of TRX airdrops received for inviting friends to the Tron Telegram Channel. The Airdrop is currently ongoing and all you have to do is follow the link provided and enter your corresponding ETH wallet address. The announcement looks legitimate in that Justin Sun announced it himself on twitter, and the TRX team on Telegram, also confirmed his statements. $TRX #TRON mainnet will be launched soon, we prepared millions of #TRX candies, join us to get #TRX candies, you can also get more by inviting friends, the airdrop will be ended at 12:00 AM June, 1, if candies were given out, it will be ended in advance. 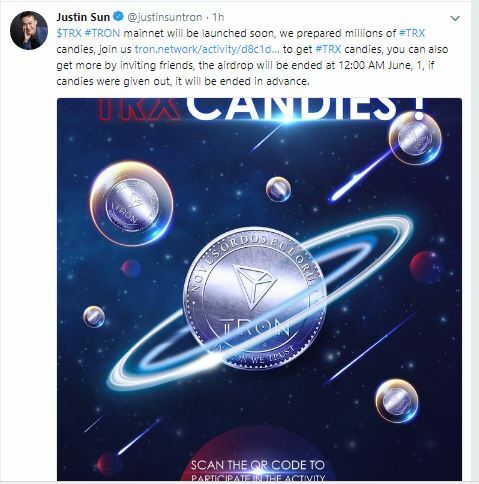 $TRX #TRON mainnet will be launched soon, we prepared millions of #TRX candies, join us https://tron.network/activity/d8c1d4aa43e12e39?lang=en to get TRX candies, you can also get more by inviting friends, the airdrop will be ended on 12:00 AM June, 1, if candies were given out, it will be ended in advance. The link to the airdrop states that you get 2 TRX the first time, and get an additional 4 TRX when you invite a friend to join the Telegram group. The Airdrop ends on the 1st of June. However, and due to regulatory issues, the airdrop is not available for participants from China, USA, New Zealand, Canada, South Korea and OFAC sanctioned countries. TRX has also not been spared by the current market decline that has seen some of our favorite coins decrease by the double digits. TRX is hanging onto the number 9 spot on coinmarketcap.com and is currently trading at $0.0718 at the moment of writing this. The token is down 10% in 24 hours and currently has a market capitalization lead over IOTA that is equivalent to $455 Million. These two cryptocurrencies have been competing for the number 9 position for the past few weeks and constantly switching between the #9 and #10 slots.